A court in France has found three people who helped themselves to expired foodstuffs discarded by a supermarket guilty of theft. The convicts claim to be 'freegans' trying to live outside of a consumerist society. Leah, 24, Adrian, 26, and Mike, 32, were caught in the act on May 27, 2014 in the courtyard of a supermarket in Frontignan, a commune in southern France. They had collected seven 100-liter bags with perished food, including delicacies like foie gras, which they scavenged in preparation for a long trip when a police patrol intercepted them, Le Figaro reported. The police held the trio in custody for 12 hours and collected fingerprints and DNA samples before releasing them. On Tuesday Leah and Adrian stood trial at the Criminal Court of Montpellie, while Mike was tried in absentia. Their crime could have resulted in a punishment of up to seven years imprisonment and a €100,000 fine. The defendants' attorney argued that they stole the food out of necessity and would not have had anything to eat otherwise, France 3 TV channel reported. 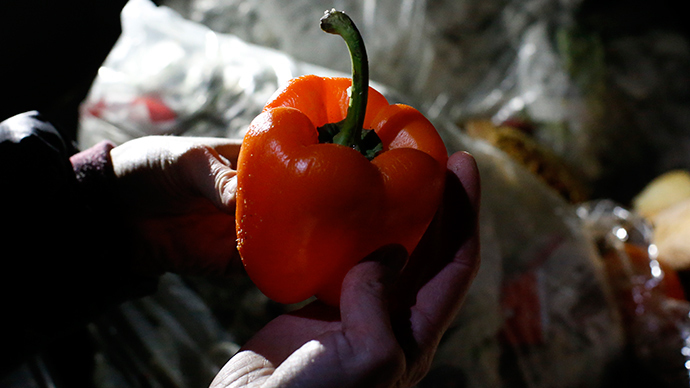 The French criminal code has a provision that states that acting in protection if imminent danger – death from starvation in this case – cannot be treated as a crime. The young people say they are 'freegans'. The portmanteau word comprised of “free” and “vegan” describes a person who rejects animal abuse and chooses to live outside the conventional market economy. They are often squatters and oppose the society they see as rife with materialism, consumerism and moral apathy. The case drew attention of some human rights groups in France. The League of Human Rights organized a protest outside the court, calling the trial "the criminalization of poverty." Anti-waste groups collected 3,867 signatures for a petition in support of the defendants. The judge found the trio guilty, but ordered a penalty waiver, since their crime didn't involve any public disturbance or damage. A representative of the supermarket attended a trial as a witness, but the company didn't press any civil claims. For Mike the ordeal is not over however. He is facing charges under a separate case, because the car the trio used in their raid on supermarket dumpster turned out to be stolen. Actually, it was the car, with plates registered in the missing vehicles database, that drew police attention in the first place. 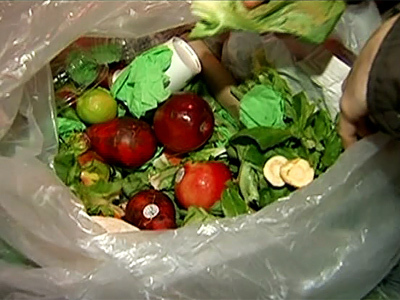 The issue of food waste is currently on the agenda of the government, with a Ministry of Agriculture report expected in two months. A conservative MP proposed a bill last year that would force big supermarkets to hand over their food waste, although some charities, which would be tasked with distributing the left-overs, voiced concern that they would face logistical problems outweighing the benefits of having some free food.